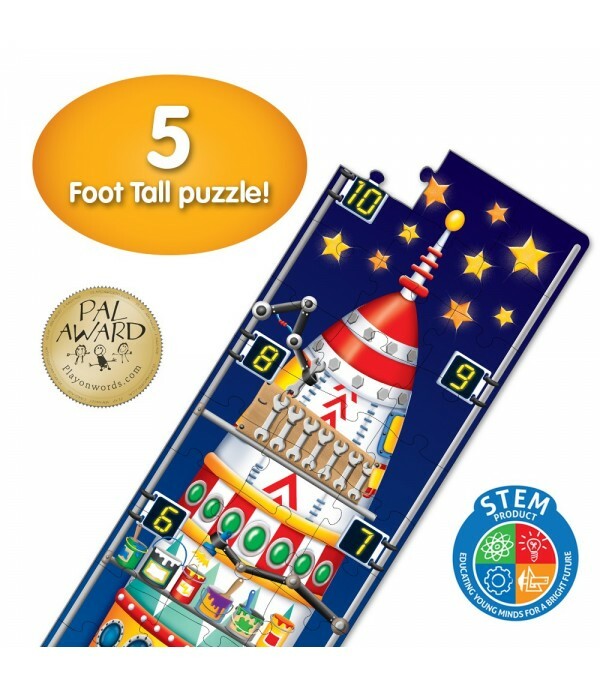 Count down to learning with our new Long & Tall Puzzle series. 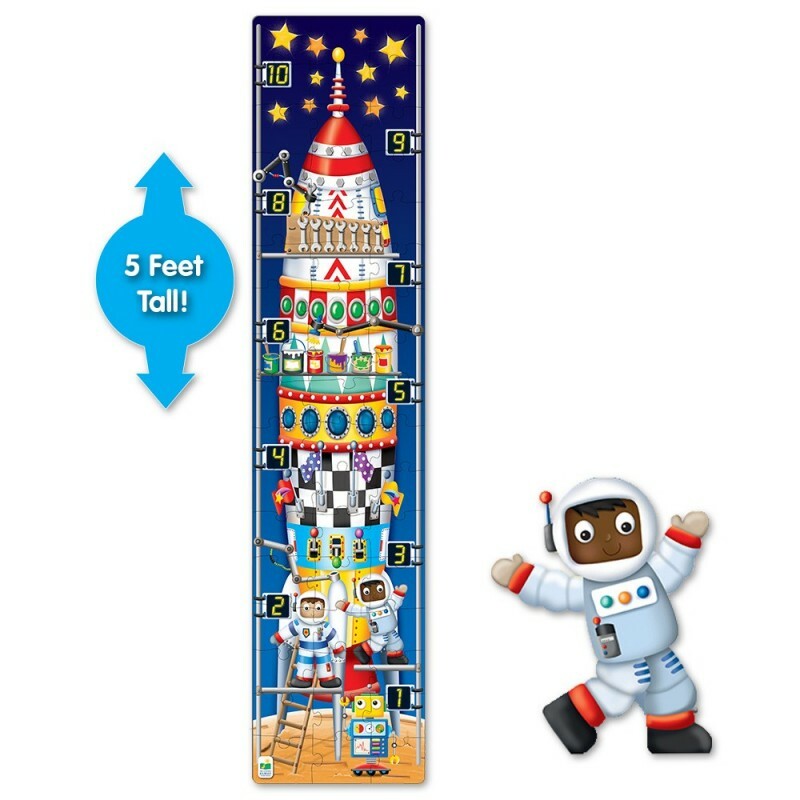 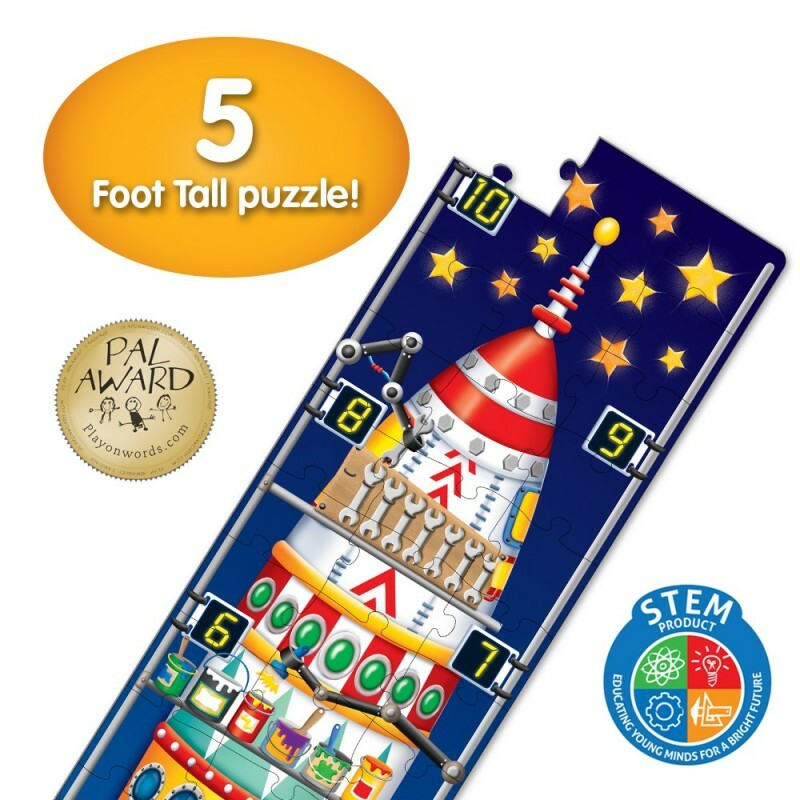 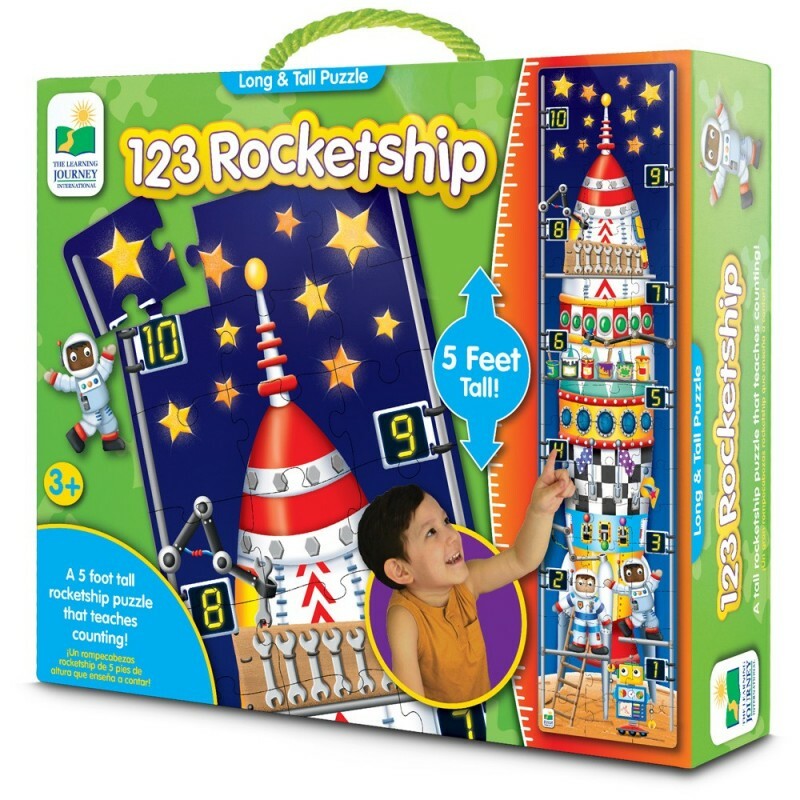 The 123 Rocket Ship puzzle features numbers and as you build the rocket you will find objects to count that correspond to the numbers they are near. This Jumbo puzzle has 51 pieces and measures 5 feet tall!